We collaborate closely with hand block printers from the village of Bagh in central India, as well as Varanasi in northeast India. 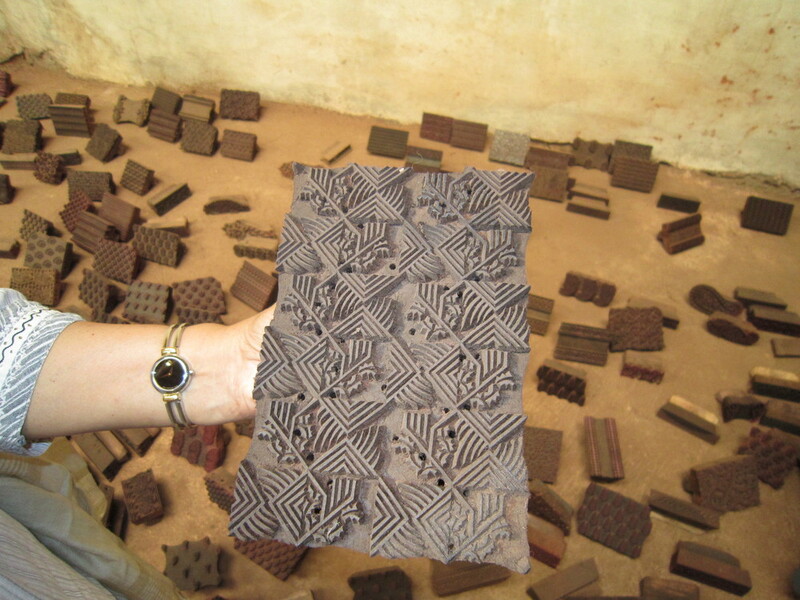 In this process, artisans use carved wooden blocks and stamp them in dye to create vibrant patterns on all-natural silk, wool, cotton, and cotton-silk fabrics. We also design blocks. In Varanasi, printing is a dry process where color is printed onto fabric and cured. In Bagh, printing is a wet process where natural dyes are used from the madder plant, and iron mixed with unrefined brown sugar to create striking red and black prints. After printing, the fabric is sun-dried, washed in the river to remove excess color, and boiled in a bhatti, or oven, for curing and the color to emerge. Bagh printing is known for its geometric and more abstract designs. Hand block printed robes, Bagh block print, natural dyes on 100% cotton. Free size in full length (54" long), wide half-length sleeves, two pockets.